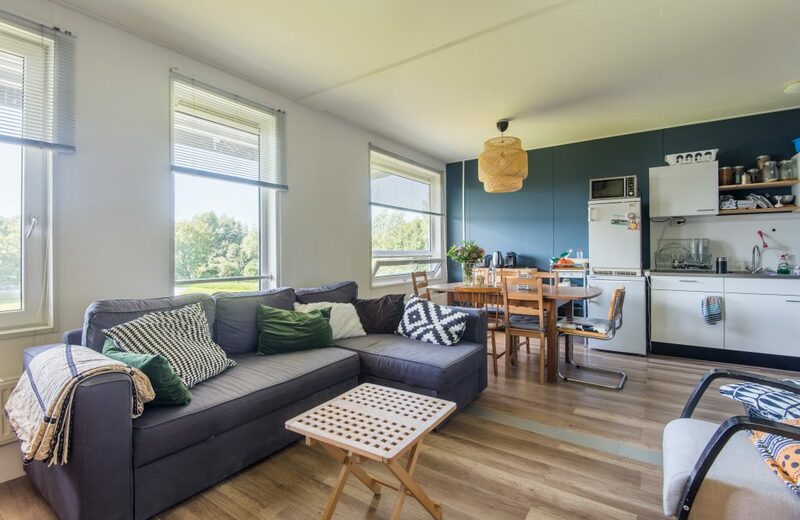 Startblok exists of 565 modular housing units, of which there are 463 private studios with own facilities and 102 private rooms in apartments with shared facilities. All living spaces are unfurnished. 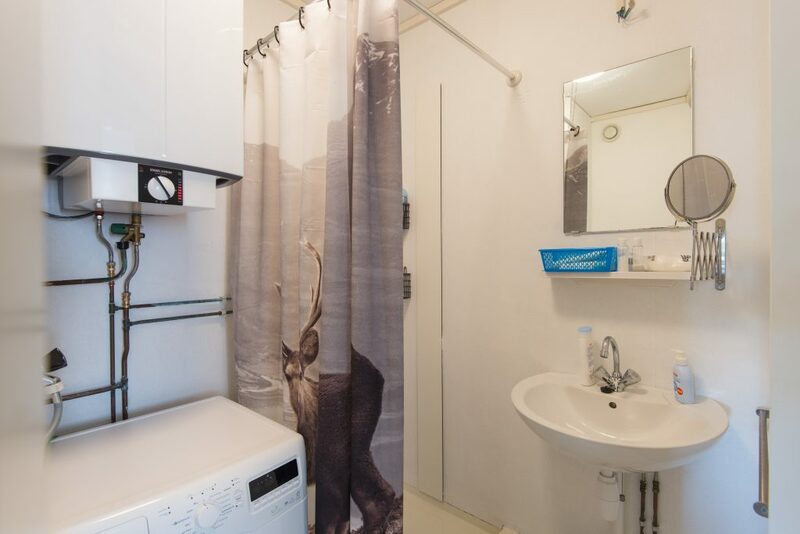 The 463 private studios are about 23m2 and have their own kitchen and bathroom. 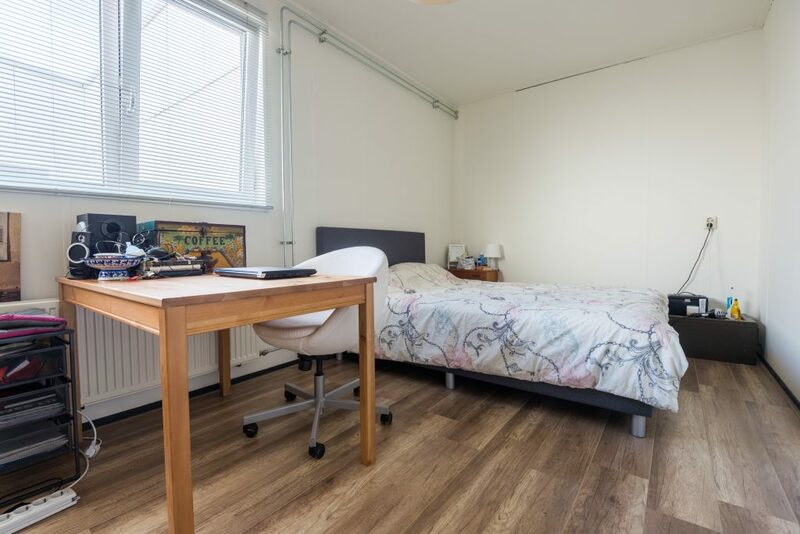 The studios are for one person only, but together with 16 to 32 other tenants you form a living group and get the opportunity to spend time together in the common living rooms and outside areas. 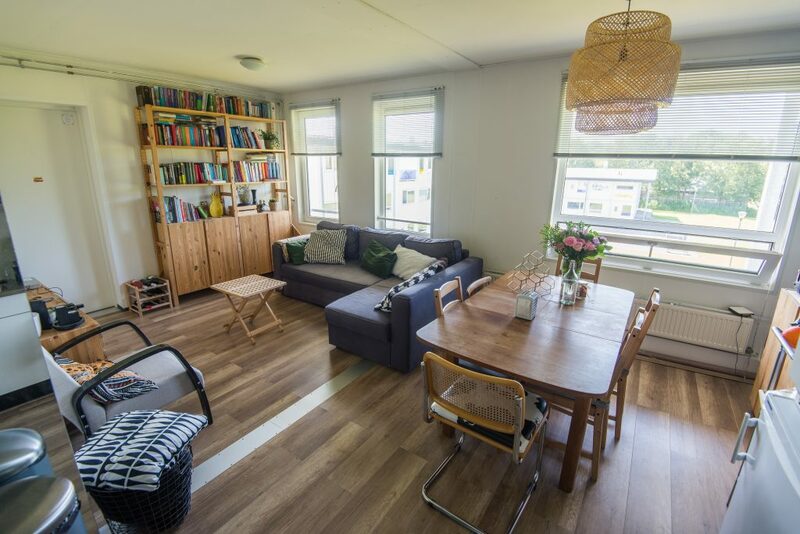 Including €111,- service costs (heating, electricity, water and internet). 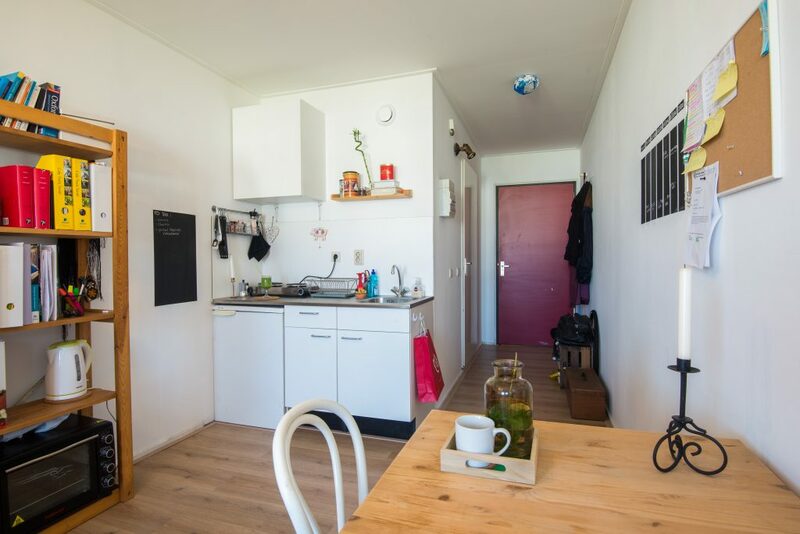 The studios are independent units with their own addresses; therefore, it is possible to get housing allowance. 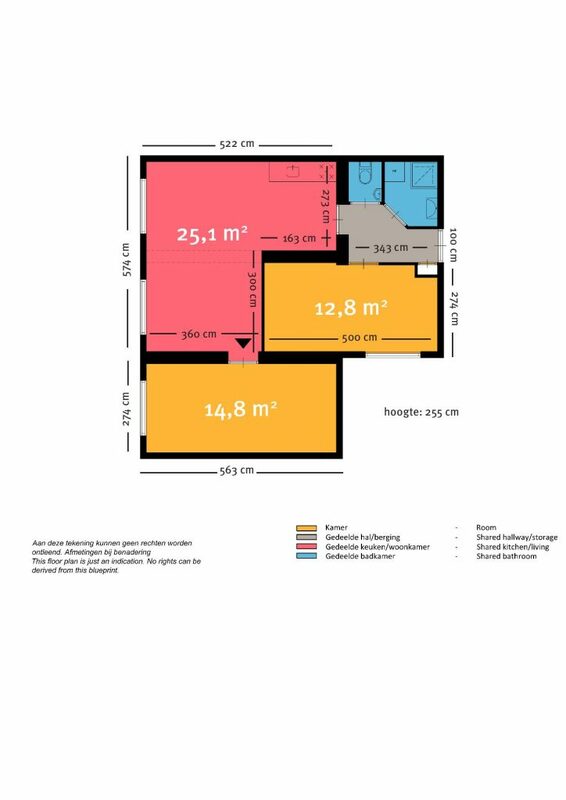 For example: the basic rent of the studio is €400,-, plus the service costs of €111,-. The accounting rental for a housing allowance is €409,-. 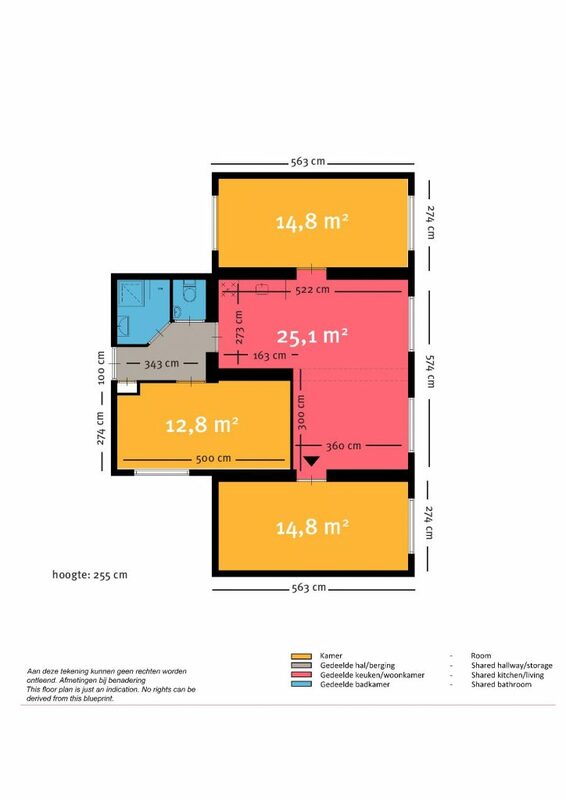 This is the basic rent + 3 subsidiary service costs (€9,-). A tenant of 18 years or older with this rent, will receive a housing allowance of maximum €189,- depending on the height of your income, which makes the total rent €322,- per month. Please note: all the mentioned amounts are estimates. Small amendments may be made. There are 42 apartments for 2 persons and 6 apartments for 3 persons. All the 102 private (bed)rooms in the apartments have a floor surface from about 12m2 or 14m2. The apartments also have a shared living room of about 25m2. 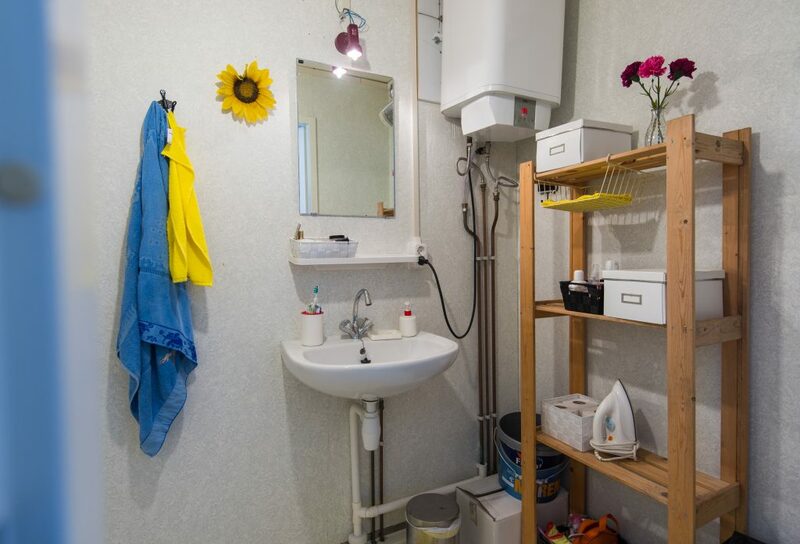 In a three-room apartment you will have your own (bed)room and share a living room/kitchen, shower and toilet with one other person. 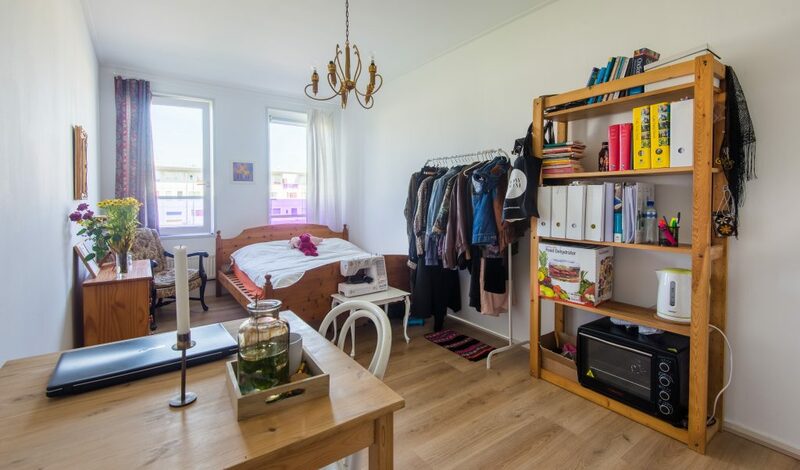 In a four-room apartment you will have your own (bed)room and share a living room/kitchen, shower and toilet with two other persons. The rooms in the three-room apartments are more expensive because you share the common living room/kitchen, shower and toilet with one person instead of two. Note! 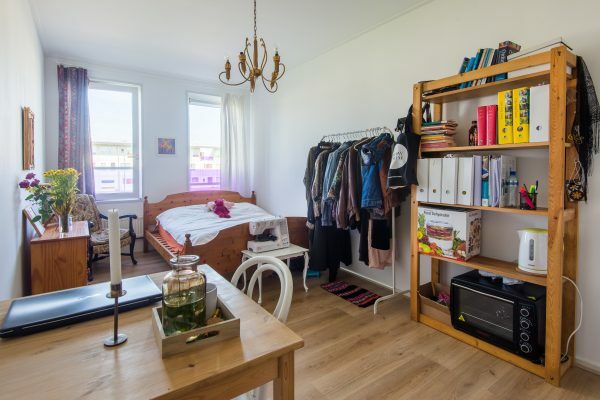 It is not possible to apply for a housing allowance for these rooms. Only two tenants from the Netherlands, or two status-holders will be housed in the three-room apartments. 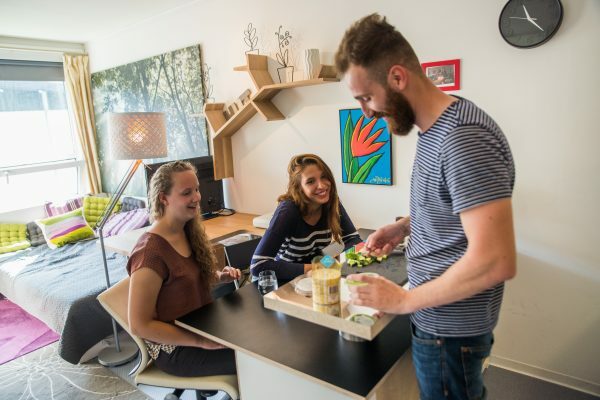 In the four-room apartments one status-holder can be housed with two tenants from the Netherlands or one Dutch tenant housed with one status-holder.